I know I screwed up somewhere. 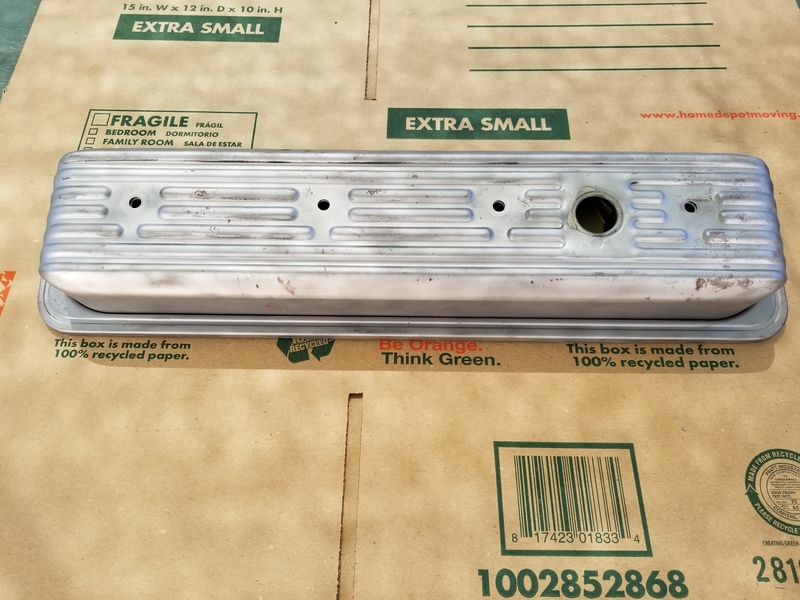 But, after watching a comprehensive video on You Tube on how to paint a valve cover and come up with great results, I bought all the supplies and had a crack at it. 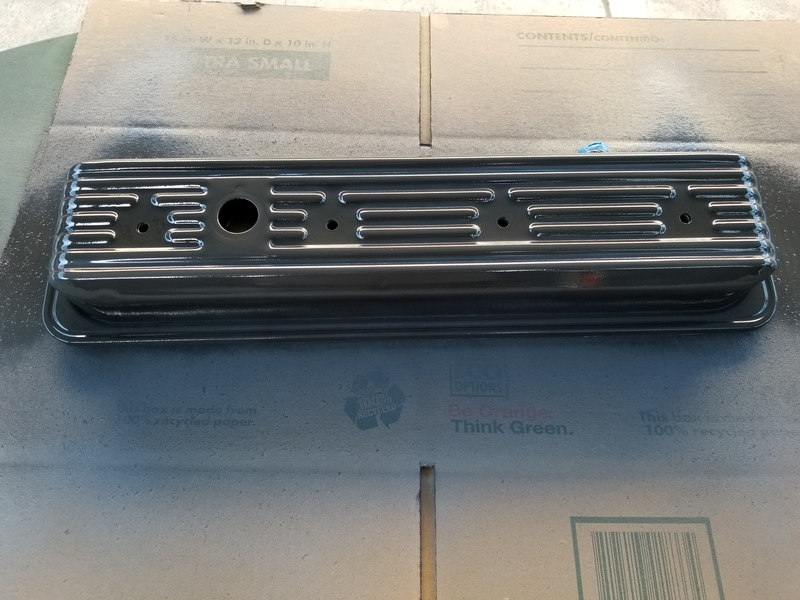 I had ordered a set of decent silver/gray TPI valve covers that needed some repaint. I decided to go a bit custom and go a bit darker but still have metallic sheen to it. Everything seemed to be going well until I came up with a color just too dark. Going to have to re-strip and start over again. Pic#1 is before any prep work. Last edited by MY87LT; 06-11-2018 at 06:42 PM. Pic#4 is after three coats of paint and one coat of high temp clear coat. Pic#5 is the final product which was three coats of primer, three coats of paint, and three coast of clear. Last edited by MY87LT; 06-11-2018 at 06:46 PM. I'm not sure I'm following. Where'd you screw up? -they look pretty good to me. ....unless you simply don't like the color. That's not really a screw up. Looks good to me. Id sport em. It's the color. I was hoping for it to be a lot lighter. As far as the work that went into it, I'm ok with it. This weekend I'll do a side by side comparison with the lighter one that's already installed. I like the color in photo 3. 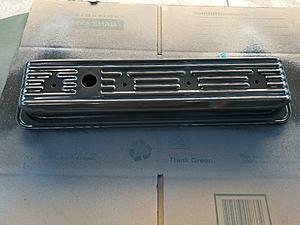 "Pic#3 is the first coat of paint after three coats of high temp ceramic primer"
I used Duplicolor Metal Cast paint. The cap appeared to be the color in pic#3. One coat just didn't seem enough to make it last. Possible that three coats was overkill and made it darker. I like em! I don't think 3 coats is overkill. Some paints need multiple coats to achieve desired results. I am curious to see if it maintains the shine through the heat cycles of the engine. Nice job on the finish, after so many coats it's easy to screw up one pass and get a sag or run then ugh. 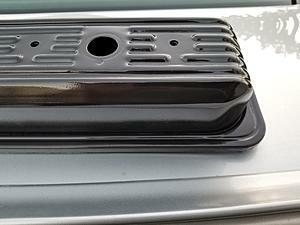 I've used the metalcast with their color coat being a tinted clear. Each successive color coat adds tint and deepens the color. I found one of my runners hard to re-paint and get the same as the first time I did them. FWIW looks really nice to me! I would just get them powder coated. Usually the best way to go. Not too expensive as well. I just lightly sand and panted over with silver rust oleum engine paint. 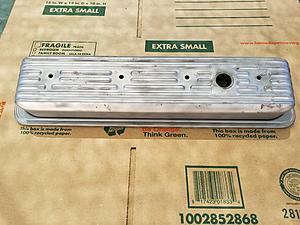 Mid America Spruce Paint...."Spruce Nickle" is the color of Original Valve Cover. Google Mid America Spruce Paint. I'll second that comment. If you want a finish that is oil, heat, and solvent resistant that is the way to go. 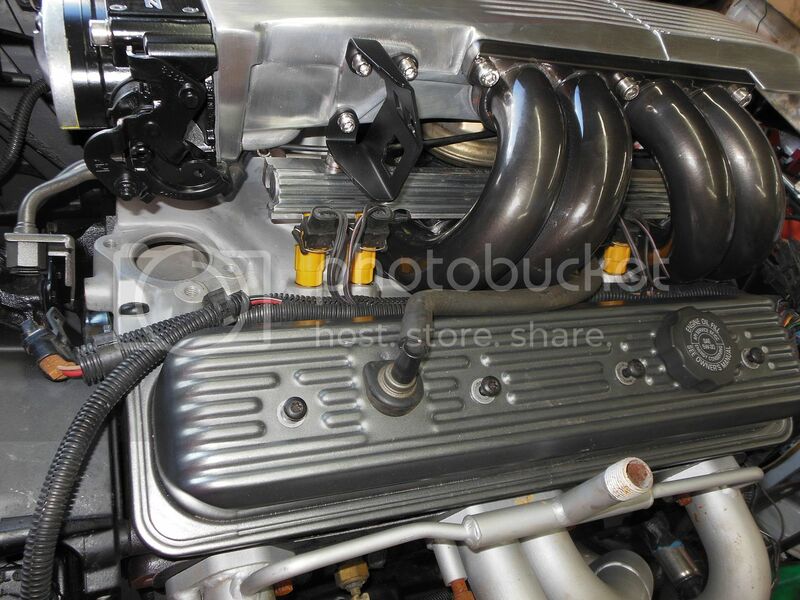 They have high heat finishes that work particularly well in engine compartments and when you add in the cost of your labor and time there's no comparison to rattle can finishes and I've done a lot of those too. 3. 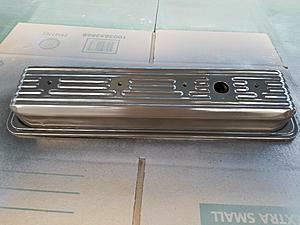 Sometimes use primer, mostly only if I have exposed metal or uneven area or scratches. Sand again if I used primer. Clean again. 5. Apply clear if necessary. I kind of consider the old paint the primer. It's sticking to the metal just fine and probably better then the spray paint I will apply. 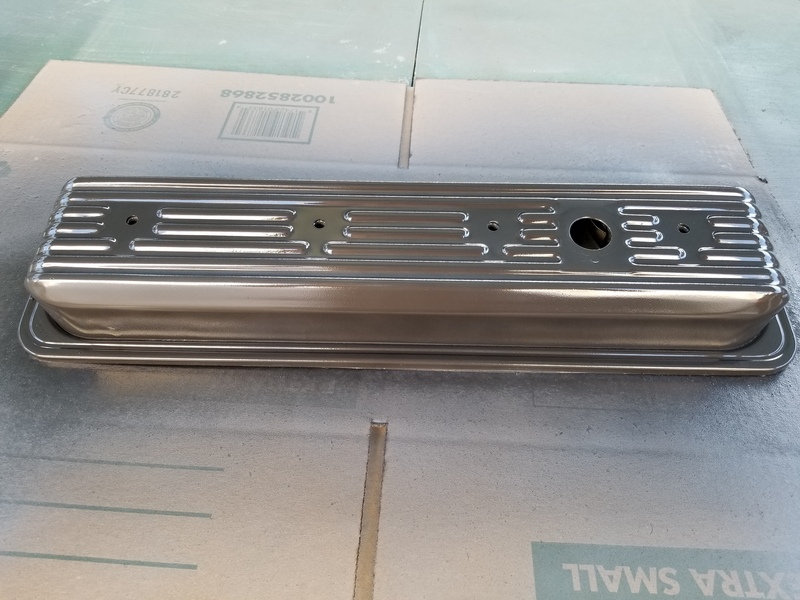 A lot of the time the item is powder coated or better paint then spray paint. 99% of the time I have no problem with spray paint sticking to sanded down paint with no primer. 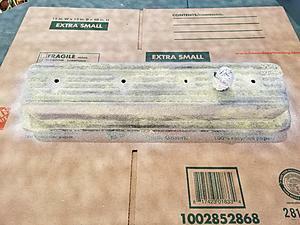 Using paint stripper takes a lot more time and doesn't always remove the paint evenly. A. Rustoleum High Performance spray paint in the silver can is the best spray paint I have used. It is way different then even the regular white can Rustoleum spray paint. Silver can RHP paint dries in 15 minutes. I have not tested this paint in the engine bay yet though. Just discovered it last year and used it on my mowers. B. Krylon Plastic Fusion - Amazing for plastic. 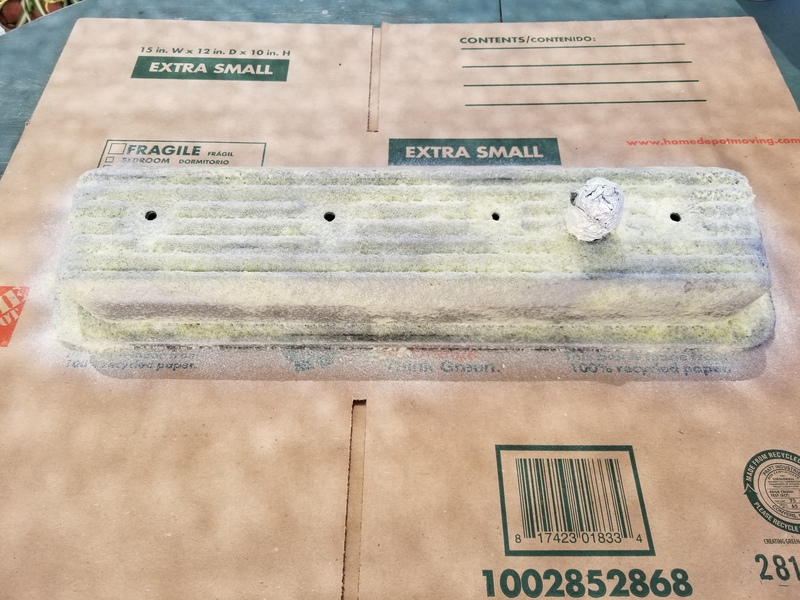 Painted plastics with this in temperatures as low as 40 degrees and stuck to the plastic with no issues. 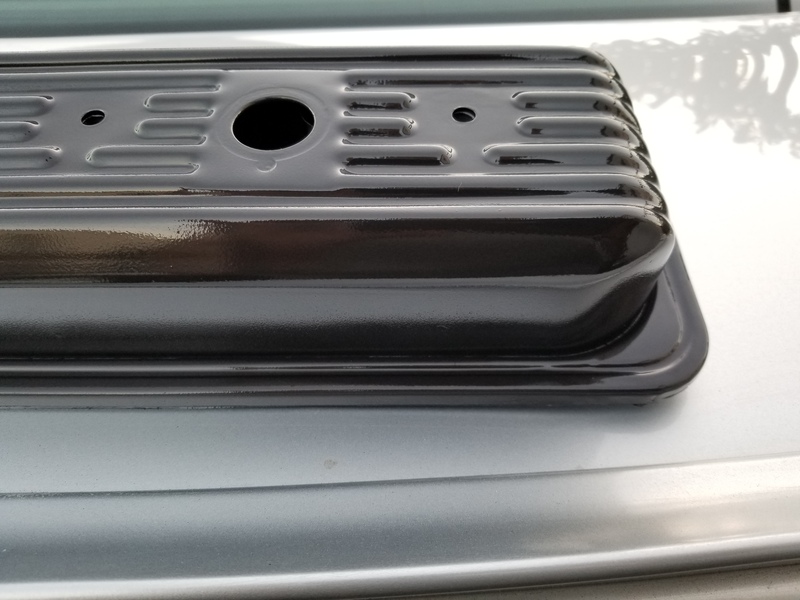 I Finally Painted My TBI Intake!! Happy With The Results!! What you Think? should they stay or should they go? ?